You had to know someone out there would try and profit off Microsoft's recent mass bannination of modded Xbox 360 consoles from Xbox Live, and although the eBay scammers arguably got there first, we're awarding the style trophy to AbingtonIP, an Oklahoma law firm that's trying to gin up a class-action lawsuit. Why? 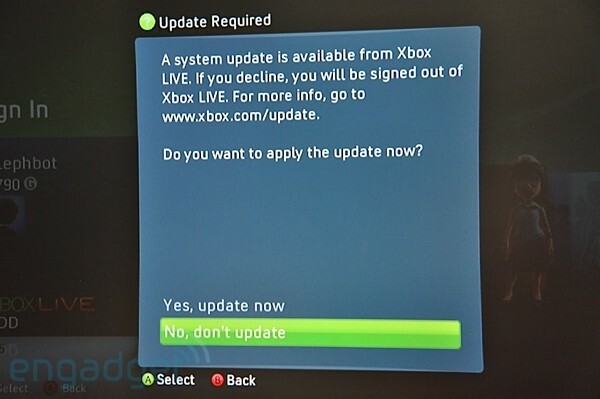 Because even though the XBL terms of service expressly prohibit modded consoles, AbingtonIP thinks it's not fair for Microsoft to have timed the ban to coincide with the release Call of Duty: Modern Warfare 2, and it also thinks it's unfair for an XBL ban to affect "Xbox functionality not associated with piracy" like Netflix, arcade games, and DLC. A noble cause, to be sure, but if you're a modder who didn't think there was a chance you'd be booted from Live at some point, you're not a very smart modder -- and Microsoft isn't under any obligation to time its bans for the convenience of people breaking its terms of service. The firm is just at the generating-interest phase and hasn't filed anything yet, so we'll see how far these freedom fighters get -- we'd guess this one dies on the vine.